Voice of OC reporter Spencer Custodio and digital editor Sonya Quick both presented during Cal State Fullerton’s Communications Week. Elizabeth Hansburg, who started a chapter of the group, Yes In My Backyard (YIMBY), in Orange County, talks with On OC about her goal of getting elected officials to stand behind affordable housing construction – even when there’s political heat. The proposal would create a regional agency of city, county, and public representatives to speed up the financing of 2,700 proposed homes with support services for homeless people. Tung Nguyen shares his personal journey from Vietnam, reminding that April 30th is the commemoration of the end of the Vietnam War and the beginning of the Vietnamese refugees arrival in the US and Orange County. Matt Holzmann, long time resident of Orange County and Chair of Government Relations for the National Alliance on Mental Illness, writes that we need to come together to discuss solutions to end homelessness. The Equestrian Center at the Orange County Fairgrounds is likely to stay after members of the Fairground Board of Directors opposed a draft plan to tear down the horse stables. The move could grant U.S. District Judge David O. Carter the ability to follow through on his warnings about banning enforcement of anti-camping laws if city officials, particularly south county mayors and city managers, don’t make progress in picking one or more shelter locations. The County of Orange will defend the District Attorney and Sheriff’s Department from a lawsuit over the alleged misuse of jailhouse informants, after the Board of Supervisors voted unanimously Tuesday for the county’s in-house attorneys to defend the lawsuit. 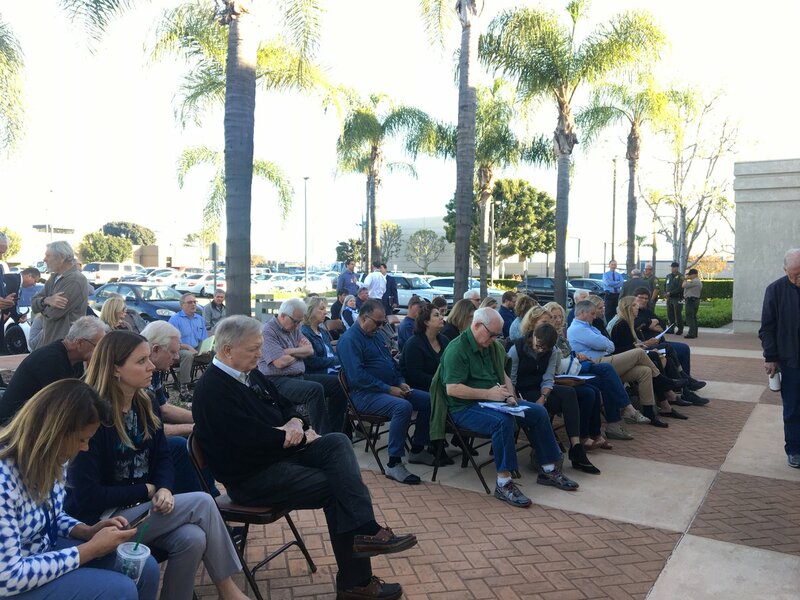 The Newport Beach City Council Tuesday cancelled a closed session to discuss the process for hiring a new city manager after two residents claimed the move violates state transparency laws and the City Clerk recommended the council call off the closed meeting.